I like this quote alot. I knew people who were constantly ragging on how they're being suppressed, unable to pursue their dreams yet all they've done is just to talk. All talk and no action. 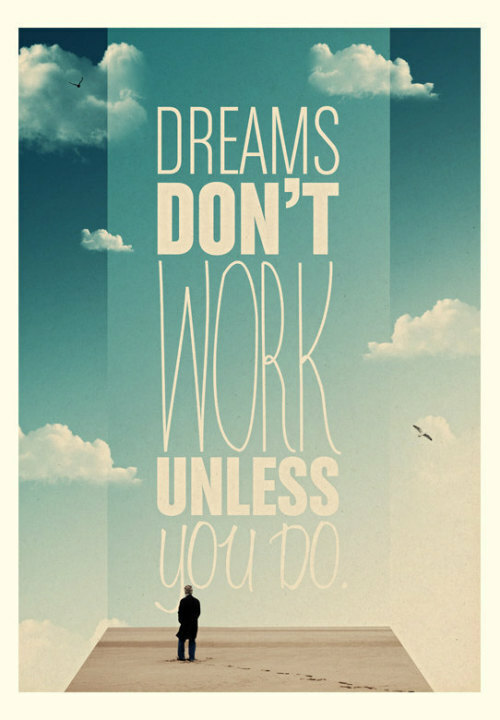 All I'm trying to say is that, dreams will ever only be dreams if you don't work for it. Even if you've achieved your dreams, you can't slack off and stop working. Dreams become a reality because you've put in hard work, and is not afraid of constantly working harder to keep it a reality.